In today’s world, photography has evolved from being just a hobby to a full-blown successful career option. While one may attempt to master the craft on their own but that not only consumes a lot of extra time and effort but also makes one miss a lot on the deeper knowledge of theories of photography, techniques and modern tools. 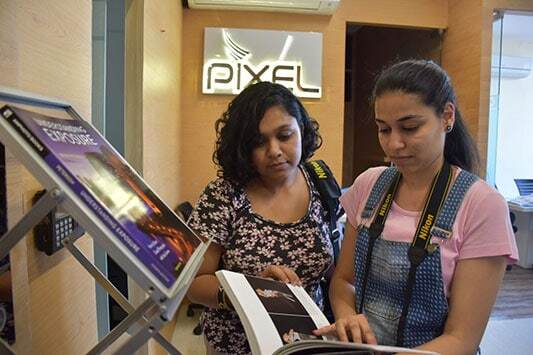 However, with so many photography institutes popping up in every corner of the country, it is quite a task to pick out the best one for you. And, the battle is not over just by picking the institute; you also have to pick the course that best suits you. So here are the things you must look for in a photography course before taking it up. Photography is truly an art of playing with lights and the course must give you all the opportunities that will help you do it. You must have experience in shooting in low light situations which prevails in indoor photo shoots as well as brightly lit situations of an outdoor shoot. This will help you understand the concepts of exposure meter, aperture, shutter speed as well as ISO and how to manipulate them in every situation to render aesthetically pleasing photographs. You should also be imparted with the knowledge of professional lighting tools and their use which involves flash, speed light, reflectors and many more. What a camera is to a photographer, a sword is to a warrior. And none can master their crafts without having an in-depth knowledge of their weapon. However, it is a mammoth task to figure out the complexities of a digital camera on your own and that is what makes a photography course essential for an aspiring photographer. You will not only be taught the Knitty-gritty of the camera but also be given an in hand experience to make use of its different functions with proper guidance so you will know when you are going wrong which is not the case when you are your own teacher. When you learn photography on your own then it is rarely possible for you to explore the different genres of photography. This not only limits your knowledge and experience which often hinders you to find your potential. Say you are learning to shoot and you only shoot weddings which is profitable for you but you will never have a chance to try out something like fashion photography which might be what your interest lies in and you probably would be better at. So, the best photography courses in India will help you figure out which branch of photography attracts you the most and then polish your skills in that genre while also having good knowledge of the other genres. Leaning the craft well is just half the battle won and the other half lies in building a career in the field. A quality institute will help you create an impressive curriculum by giving you great internships where you will learn a lot about the profession which will help you land good jobs by the end of the course.